There are parts of writing and publishing that I love and parts I absolutely abhor. I hate writing a blurb (that handful of paragraphs on the back of the book that tells you, the reader, what it’s all about – without giving away too much, of course). I hate the moment I get notes back from my editor and the moment I have to open the file and scroll through all the things that could be fixed, should be fixed, and will be fixed – by me, often late at night and with an expression of grim determination on my face. But there is one part of writing I absolutely adore, and it has little to do with words: Creating the cover. Now, I’m not an artist. I don’t paint. I don’t draw. Leave me a few spare minutes in Microsoft Paint and I’ll gift you with a stick figure and some sort of blob thing that might be a turkey… or a radish. So I have Ash Navarre, a designer, and luckily, I’ve had her for all of my books. And she is awesome, and not merely because she puts up with my demands and constant tweaking. 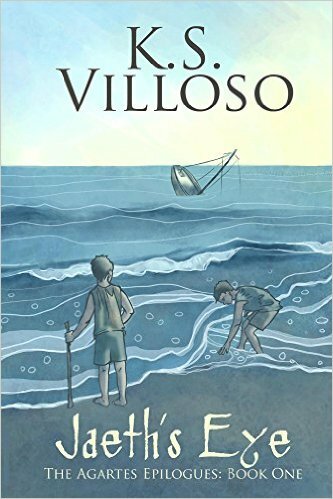 Now, my second novel – fortunately or unfortunately – is nothing like my first. 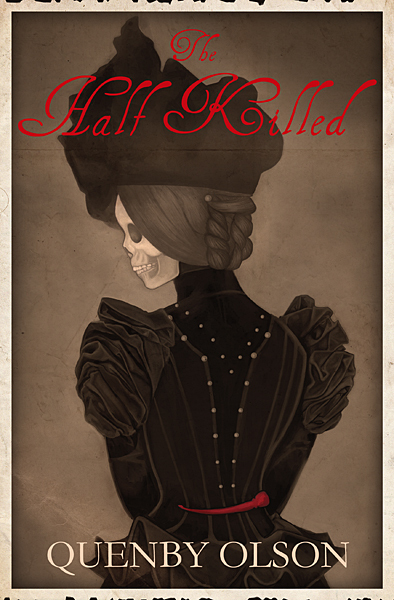 The Half Killed is dark, set in the latter part of the Victorian Era in London, and contains such light and happy plot points as murder, demon possession, and mental trauma. Which means that pinks and blues and a kicky little font were pretty much out of the running. Honestly, there wasn’t a tremendous amount of going back and forth on this one. I told Ash what I DIDN’T want (which tends to be easier for me to figure out than what I DO want), she said she had an idea of which she showed me some of the initial sketches (to see if I’d be okay with it), and away she went. And I love it. Then, last year, I wrote a short, contemporary story that was included in the Christmas Anthology, Unwrapping Love. 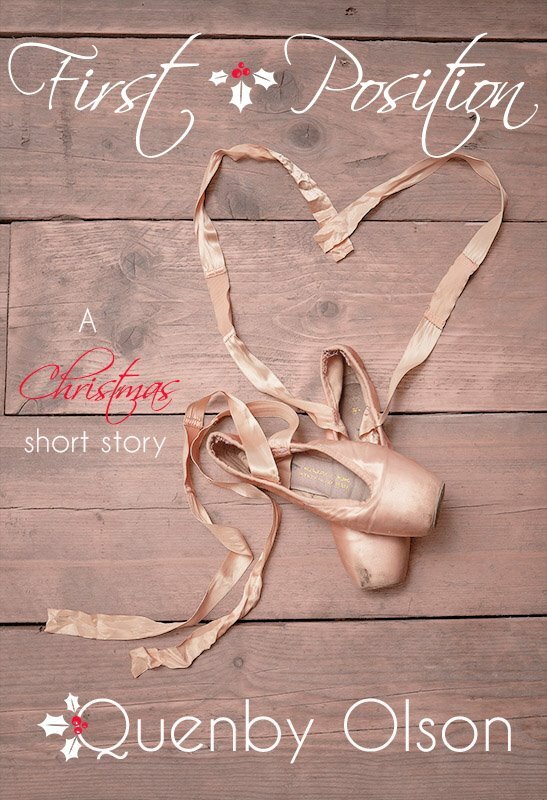 Now, Ash didn’t make the cover for the anthology, but she did make the standalone cover for my own story, a 10k word jaunt about Christmas, ballet, and the one that got away. 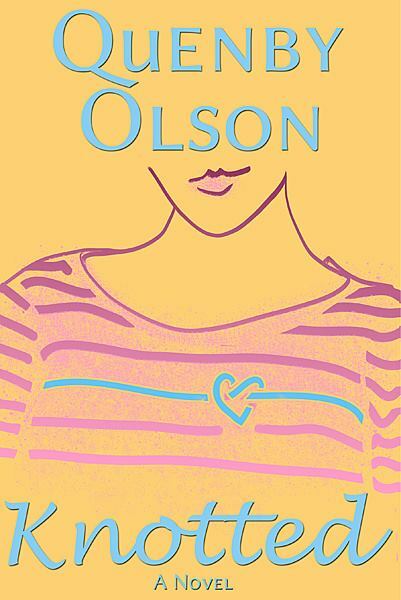 Once again, she shows why she’s the cover designer, and I… am not. So I am thrilled to be working with such a talented cover designer, who works so well with every author – and always reads at least some version of the story before creating a cover for it – in order to give them exactly what they wanted, sometimes coming up with a picture they may not have even had in mind until she shows us where our words are taking her. If you’re not going to design your own covers, then try as hard as you can to find someone who will give you what you want, who knows what they’re doing, and who only wants the best, most suitable image on the front of your book. Your cover is the first thing that people see, and I will confess that I have purchased books and checked them out from the library solely on their cover alone. Don’t settle. This is important stuff, people. Knotted is available on Amazon. The Half Killed is available on Amazon. First Position is available as part of the Unwrapping Love anthology, but will be available separately in Fall 2015. A Darkling Way will be free to read on Wattpad in September, 2015. 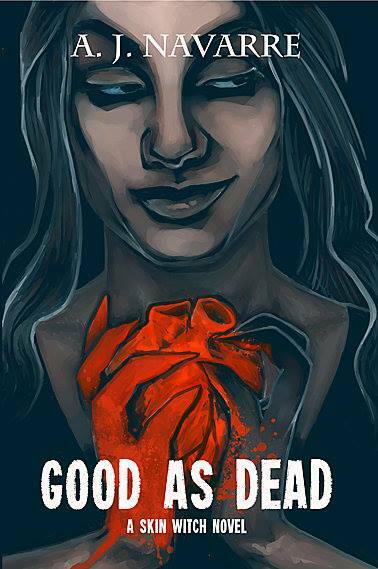 Good As Dead is available on Amazon. Jaeth’s Eye is available on Amazon. Birthplace and The Crimson Gown with both be available in Winter 2015. It’s Monday, and things are starting to feel a bit more like they’re getting back to normal. We had a weekend where we weren’t working on cars or painting the house or anything else that wasn’t going to church, taking the kids to the park, and sipping milkshakes. Which was lovely. I’m still lacking on sleep however, since I have two kids who still nap, but are at that age that when they do nap, it means trying to get them to sleep at night before 11 p.m. is akin to wrestling a particularly ornery bear into a pair of pajamas. So it’s a fun game of finding the balance between dealing with children who, when they don’t nap, are monsters, but when they do nap, keep everyone up until midnight (or later). I’m exhausted, is what I’m attempting to say in a rather roundabout way. I’m also getting back into writing again, since I took a break from it while my dad was in the hospital and afterwards. (See what I did there? How I referred to… everything that happened as “and afterwards”? Yeah, that’s about where my head still is right now.) And it wasn’t a voluntary break by any means. It was more of a I-Can’t-Cope-With-Anything-That-Isn’t-What’s-Happening-Right-In-Front-Of-Me kind of thing. So I was able to take care of myself and take care of the kids and take care of the barest of bare minimum of chores around the house, and that was it. Now I’ve hit a huge creative surge the last couple weeks, which seems to be what my brain does after some Major Traumatic Event. After my miscarriage last fall, I wrote about 20,000 words in a few days and managed to finish the first draft of a novel. Now I’m dallying with several stories at once and taking care of marketing The Half Killed and about 5,000 other things that work well to take my mind off the sadness that’s just there, lurking around the corner. Apparently this is how I deal. And I’m okay with that. I’m working on edits for A Darkling Way, a new story I’ll be posting on Wattpad as each chapter is finished. 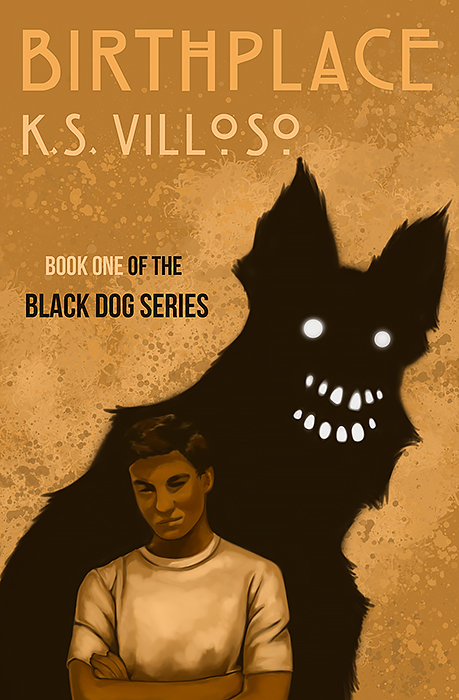 Out of Darkness has started being updated again (the first book is finished, I simply… stopped posting the chapters. Because life.) 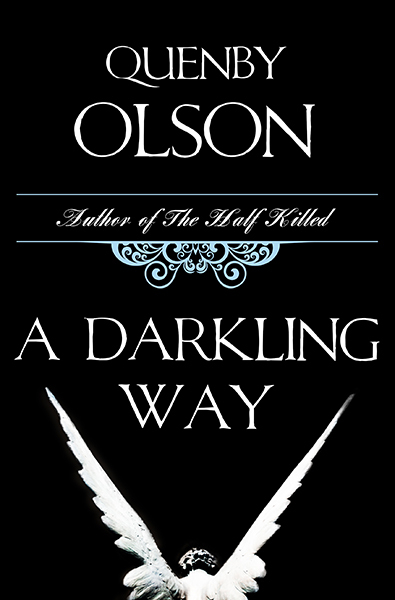 The cover for A Darkling Way is gorgeous, and not done by me. Which is partly why it’s so good, since if I was left to do my covers, everything would be stick figures created in Microsoft Paint. I’m looking at the week of July 26th for it’s debut on Wattpad. I don’t have a definite date set yet, but that’s as close as I can say when I have no idea what’s going to happen in this household from one day to the next. I mean, I’m still finishing up Freja’s schoolwork for the year, and it’s July. JULY. But a lot happened to us in the last nine months, so I’m not going to beat myself up about it. At least, not too much.